Have you ever seen the term ‘Nappa’ leather and wondered what it meant? In the latest of our leather guides, we explore what exactly Nappa leather is and how to maintain it. Nappa Leather is named after its place of discovery, Napa in California USA. Sawyer Tanning Company employee Emanuel Manasse, coined the term Nappa Leather in 1875. Nappa leather is a general term used to refer to leather which is soft, smooth and chrome tanned, but it doesn’t actually have any distinctive characteristics in order to be specifically identified as Nappa leather. So it can have a natural grain or corrected grain and made from kid, cow, calf, lamb or even a different skin! Nappa leather is generally a leather which feels very soft to the touch, but overall the definition of what Nappa leather is, is ambiguous. Nappa is used for a range of items such as, handbags, gloves, coats, wallets, shoes and car interiors. The experts at The Handbag Spa have years of experience working with Nappa leather and furthermore have worked with the world’s finest leather chemists to create a range of care products. If you scroll down, you’ll discover which products we recommend for protecting and cleaning Nappa leather. 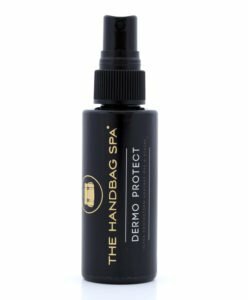 We recommend protecting Nappa leather with Dermo Protect. This water-based spray, protects finished and unfinished leathers including Nappa, from day to day staining, liquids, dye transfer, ink, oil, sunlight damage and more. Unlike it’s competitors, Dermo Protect protects the leather, whilst hydrating it at the same time and therefore allowing it to breath. Keep your Nappa handbag soft, supple and feeling the way it should. CAN BE USED ON: Finished & Unfinished Leather, Full Grain, Aniline Leather, Lambskin, Calfskin, Exotic, Ostrich, Saffiano, Epi and Vachetta Leather. To achieve maximum stain guard protection, use Dermo Protect monthly. In addition to using Dermo Protect, we also advise using Sensitive Cleanse. 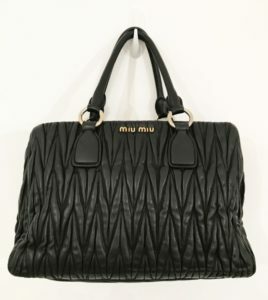 This water-based spray, cleans finished and unfinished leathers including Nappa leather. By creating a thick solution that sits on the surface for longer than other products, Sensitive Cleanse allows you to clean off the day-to-day buildup of dirt. 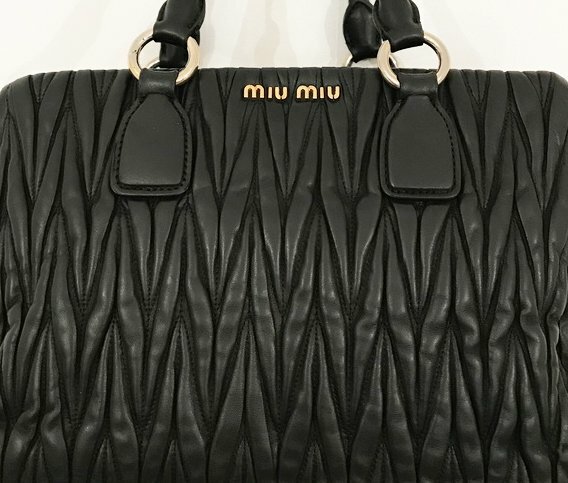 Finished & Unfinished Leather, Full Grain, Aniline, Lambskin, Caviar, Calfskin, Exotic, Ostrich, Saffiano, Epi and Vachetta Leather. Just spray a light layer evenly onto a clean lint free cloth. Test on an inconspicuous area (such as the bottom or inside). Wipe focusing on one panel at a time. Use monthly (depending on how regularly you use the bag). Ensure after cleaning with Sensitive Cleanse, that you always protect the leather again. We recommend using Dermo Protect for the ultimate protection against oils and dye transfer. 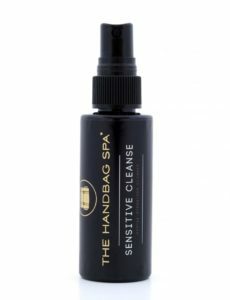 NOTE: None of The Handbag Spa products will alter the look, feel or finish of a leather handbag in any way! If your Nappa leather handbag is looking a little worse for wear, send it into The Handbag Spa for our team to asses. Here it can undergo treatments to clean and restore its appearance.